Rheumatoid Arthritis Joint Damage Preventable with Lifestyle Changes? It’s difficult to know where to begin after a week of being offline and away from the computer. Writing projects are piled up; I’m still working at about 25 percent of my usual pace. I’ve decided my first couple of blogs will be in response to some faithful, lovely readers who’ve written to me personally with their concerns. It’s as if they said to me, “Something must be done about this.” And I agree. Stick around; the next few days should be interesting. Their key point: “But just as pivotal in the treatment of RA are lifestyle changes you can make to also help reduce pain and slow, or even stop, joint damage.” They go on to describe how exercise, a healthy diet, and a happy marriage “can slow, or stop, joint damage.” Several Rheumatoid Arthritis patients responded negatively to this assertion. Here is what one reader wrote on their site: “Saying to people that a few lifestyle changes can stop the joint damage of RA is like telling someone with a broken arm that adding fiber to their diet will heal them. Not true and not fair to those of us like me that have to take some very scary drugs to try to keep this horrible disease controlled. Don’t you think if all I needed to do was 20 min of cardio, cut my calories, and take a tai chi class to stop the horrors of this disease I’d do it? Don’t you think that if stopping joint damage and deformity was that easy my doctor would have mentioned it? This article is a classic example of how unaware people are about this disease. By publishing these kinds of articles you down play the seriousness of this disease which does not help those of us that have to live it.” It would be difficult to improve on that. What’s wrong with the article? I’m tempted to leave it at this simple old quote: “No, that’s not right. It’s so far off the mark, it’s not even wrong.” Regarding Rheumatoid Arthritis joint damage, the article is so ridiculously off the mark that I hate to even address it. On the other hand, the USA Today article is typical of what most of the general public reads about RA – from our neighbors to our nurses – so it must be addressed. Perhaps the author confuses Rheumatoid Arthritis (RA) joint damage with “arthritis” (osteoarthritis or OA) to some degree. There is absolutely no proof that diet, exercise, or happy marriage “can slow, or stop, joint damage” of Rheumatoid Arthritis. The suffering and damage of RA is in no way the fault of the RA patient. RA patients are actually victims of this brutal disease (yes, I seldom use that word) and the majority of the thousands with whom I’ve had contact are well-balanced, hardworking, and otherwise healthy people who are simply genetically ill-fated. Certain specific points have been refuted here on the blog. Please refer to the following links: For more discussions on “Rheumatoid Arthritis and Exercise,” click here. For a discussion on Rheumatoid Arthritis and emotions, I really hope you’ll read this post, the links contained therein, and the comments’ page. 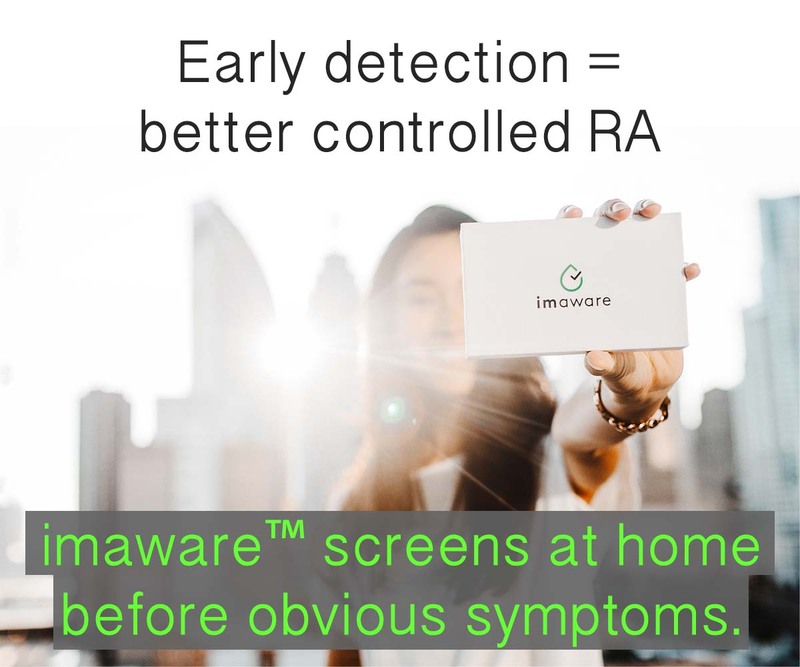 Such articles perpetuate a viscous cycle of bad information about RA, and represent a main battleground in the battle for Rheumatoid Arthritis Awareness – please click here for a list of articles on RA Awareness. Confusion about what RA actually is like or how it is treated often creates barriers to RA patients getting needed assistance, accommodations, or care. It matters because RA is a dangerous disease causing severe disability and early death, and requiring powerful medical treatment. People will not begin to be diagnosed and treated earlier as long as RA is so misunderstood and minimized. What should folks do if they want to see change? Learn the simple facts of RA. One good source is the printable RA Factsheet located at this link. Spread the simple facts about RA. One easy way is to use the 7 simple truths on the RA Info Page. 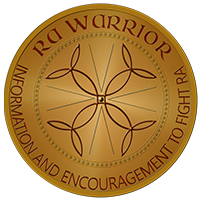 The RA Info Button can be posted on any website as a link to that simple factual page. Politely resist inaccurate or dishonest portrayals of RA as these wonderful people did over the last few days on USA Today’s site. Respectfully disagree and offer facts, whether it’s with a national newspaper or a local primary care doctor. Tomorrow: Good news I can’t wait to share! An ABC News post about RA was full of errors, but unlike USA Today, they deleted the comments from readers! Rheumatoid Arthritis Anger, an honest discussion on RA and emotion. Interesting links to enjoy over a mocha. Good thing I didn’t read that article (I never liked USA TOday anyways!) or my blood pressure (thanks RA) would have gone off the chart. Thanks again Kelly for pointing out yet another misconception article out there minimizing what we have to deal with each and every moment of each and every day! I plan to pass this on to many, at least if they have seen the article they may think twice about what they have read….ARRRRRRR-RA! I tried to register to put in a comment on the article site, but haven’t been “verified” yet, so you won’t see my comment there for a few hours. In the meantime, I’m just slavering to get my $0.02 worth in on that website. No, I haven’t done that yet or even commented on their site. After over a week offline, there are dozens of comments here and hundreds of emails to go through, but I can only use my eyes for short periods right now so that’s frustrating. If you have time to do it first, please let us know how they respond. Again, Thank you for keeping us informed! I meet nurses like that too, Marie. It makes me sad when I think of how many nurses I know with RA. I wear my shirts more and more lately too. You guys make me braver! I have yet to see any/panel of, doctors/health professionals WITH RHEUMATOID ARTHRITIS and all the goods that come with it (fever,mangled hands/feet, etc.) make these claims. Now that RA is getting the attention it finally should be, there are going to be many (all levels of media) who will crawl out from under their rocks to counteract the progress of exposure. Don’t forget my fellow warriors that all press is exposure and it gives us a chance to say to those who share it with us..BRING IT ON HONEY, I’VE GOT YOUR ANSWERS! I couldn’t see any comments on that article. Kind of disappointed about that. What a bunch of baloney in that article. Hi Erin, it took my computer awhile for the responses to load. I thought the same thing at first. I agree with everything you said Warrior Princess! I also thank my fellow RA sufferers for their insightful and honest comments. Mary,”Rubbish” is exactly what this is. This article SCREAMS to me the need for MEDIA EDUCATION, general public education and all the more reason to drop the “arthritis” from the name of this disease. Let’s keep engaging and educating the media as often as we can. If you have ever watched 30 Rock, I wonder if their “Doctors” are “Doctors” like the Dr. Spaceman of 30 Rock – i.e. hacks. And as I say in the hospital, “c’s get degrees!” It is a sad fact that many times from many seemingly educated sources that RA is misconstrued so brutally! I have to stop my rants, because I know there is a wide margin of people out there who are ready to believe un-scientifically proven “facts.” I would imagine, it would be 1,000’s of times more horrible 50 years ago. Luckily, we have certain reputable websites and those that are mentors for RA and other diseases that education with compassion and leave those dry for real facts, filled up with good knowledge. It will always be hard for us, but we can do it! 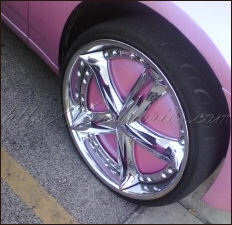 I DESIGNED AND PURCHASED A BLACK LETTERING ON PINK BACKGROUND BUMPER MAGNET THAT READS “RHEUMATOID ARTHRITIS IS NOT ALWAYS VISABLE”. I DID THIS BECAUSE I GET “THE STARE AND GLARE” WHEN I PARK IN HANDICAPPED SPACES. A WOMAN DROVE UP BEHIND MY CAR AND SAID “GOOD FOR YOU! I LOVE THAT STATEMENT BECAUSE PEOPLE ALWAYS SAY: LOOK AT HER, SHE CAN WALK”…IT TOOK A YEAR FOR ME TO KNOW THAT SOMEONE ACTUALLY READ IT – BUT AT LEAST I KNOW THAT IT IS BEING SEEN, EVEN IF IT’S NOT ACKNOWLEDGED OPENLY. Waiting for confirmation email on posting at USA Weekend…Mary said it better than I could anyway. I guess one more couldn’t hurt the cause. It is unbelievable…I think my old rheumy had the same attitude. I exercised, quit smoking…ate a gluten free diet and have been happily married for 38 years. Then why do I have erosions in every joint in my hands. I must not have done enough cardio. LOL.. I read the article and I don’t get the same reaction. Sure it is a drive by piece and they do next to nothing to inform people about the disease, but the things they suggest are probably not a bad thing for people to do. If you have RA or not. There are just 3 words that break the article for me. These are “just as pivotal” in the quotation below. If they changed it to something of a less critical, vital element in the treatment of RA then I don’t see the article as offensive. Thank you. I appreciate your reasonable voice & I do not think any of us want to be the language police. Another day when I’d rather write about recipes. Alas. But I have to agree with the commentors. It’s crappy journalism to even imply that there is anyway to avoid RA joint damage. If a drug company made that claim in that way, people would be furious. There is no way to “stop RA joint damage.” And for a large percentage of patients, there is no way to stop the pain either. I just think we are in such a mess right now with RA mis-information that it matters more than it hopefully will someday. Like some commentors, I can’t help but wonder how much this is to blame when patients try to explain RA and get the “eye roll,” etc. or all the silly things we wish didn’t happen at those times such as the 145 comments here at this link. That’s interesting. I’ve been so concerned about slowing my disease activity and dealing with my pain to consider that my joints would continue to be damaged (hopefully at a much slower rate though). I always read that exercise with arthritis is very important to maintain muscle and to help keep the joints stabilized. That makes sense to me. Though, I haven’t quite figured out how to exercise a joint that hurts. 🙂 Just last week I was thinking about starting to do Tai Chi or “gentle” yoga or some form of isometric exercises. Why don’t news outlets give more dramatic accounts of how serious RA is and what it does to the body? It doesn’t make any sense to me that they would purposefully minimize what we go through. What would they have to gain by doing so? I get letters and comments that ask me about that all the time, RaRAP. I’ve got something special to say about it next week (a change of heart story!). But to address your questions here, let’s take the editors at Woman’s Day, for example. After my video appeal to them and the previous hundred comments from their readers, and at least 200 letters to the editor, the young woman editor still believes she’s right. She states that she believes that her “version” of RA is “sanctioned” by the Arthritis Foundation. I have witnessed many conversations between patients discussing that problem. So, it’s complicated. 1- Yes, there are those who innnocently mis-report & just re-hash the same stuff that they’ve read. That’s probably a majority. 2- There are those who dig in their heels like Barbara Brody at Woman’s Day and believe that we are exaggerating the pain and they look aside from the difficult to interpret morbidity /mortality stats. I’m also told that magazines like AT, Woman’s Day, and others wish to present “positive” stories. I could obviously go on. I’m working on a book that will make this case clear. I don’t think it can be done with less than a book. Thank you Im looking forward to learning more from this website and meeting others who get it! its articles like this, that make it so had for those of us in the work force. my boss refuses to see just how much this disease is affecting me, and says that its just and excuse. I’m a first time visitor to your website. I’ve had RA for 25 years, had more surgeries than I care to think about and continue to be amazed at the inaccurate information surrounding this disease. Thank God for the biogics that have been developed in the last decade or so. They’ve been life changers for so many of us who previously tried about every “cocktail combination” out there with little or no success. As someone whose husband helped her get dressed and out the door daily for 10 years, (I REFUSED to take disabilty), I’ve also refused to let this disease define me or my life. Yes, we ALL have limits, but aren’t we fortunate that we can CHOOSE our attitude and our outlook. Yes, we all have bosses and coworkers who may look at us with skepticism……….oh well! Let’s not allow our physical limits to become psychological ones as well. Thank you for your site and keep battling! Thanks, Mary. Welcome 🙂 We have a tshirt that you remind me of “refuse to lose” – I made it for guys but I think I’ll have to make a “pink” version now! Love this and it is just what I needed to read as I have been bogged down in the realities of the illness and the cold, icky winter. Thank you, Mary. 🙂 I posted it on my FB wall for all to read. To Kelly, our wonderful hostess, I am sorry that you have been poorly and hope that you are beginning to feel better. My rheumatologist told me that there are lifestyle changes I can make that will “help” to avoid, or “limit” damage. My husband & I own a 3-story A-frame home in the mountains. Need I say, this was my doctor’s first focus. Why? Too many stairs. So, we are currently looking for a home that will provide as much (if not all) living space on one floor. My doctor’s second focus was my stress level. I am a perfectionist. So, I can get stressed easily in a quest for perfection. Too much stress usually leads to more aching, moving slower, etc. So, I am learning to accept things that are less-than-perfect. I think, finding the house is going to be the easier change! 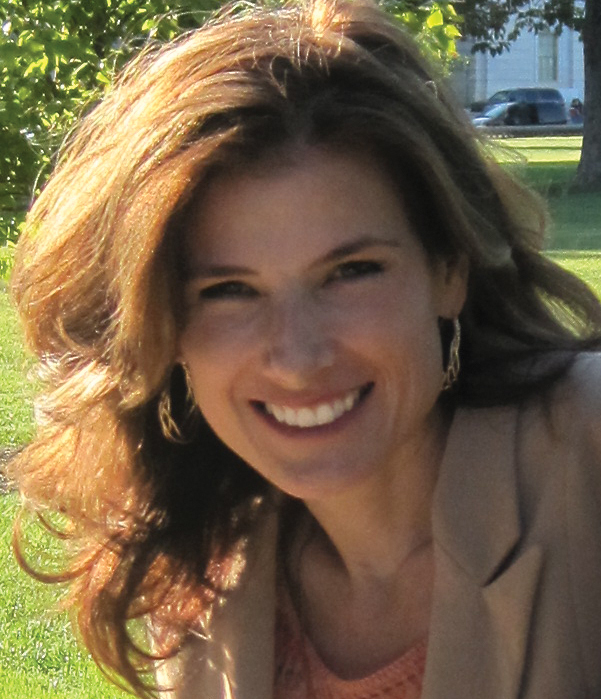 @Julie – Even before my diagnosis, I was having major problems getting up and down stairs. There were days I’d stay home so I wouldn’t have to go down and back up the 7 steps at the front door. Suddenly, in July 2000, he decided we were going to move and be in the new house by Labor Day! We managed with the help of our wonderful 3 adult children, Himself’s Godson, and a few of their friends. Once in, however, we had to deal with the 14 steps down from the living area to the entrance in the garage, under the house. (Upside-down Ranch). We got a stair-lift, and I thank God for it every day. I now cannot go up more than 3 stair steps at a time – on a GOOD day. Probably the only thing I could do to improve my RA (other than the handful of poisons I take) would be to move to a place that has CLIMATE rather than WEATHER. The weather fronts that go through here (Hotlanna) just about kill me. I check my Weather Channel pop-up daily – both the 12-hour and the 10-day long-term forecasts – as well as checking our local, excellent, weather man / meteorologist, Kirk Mellish’s forecast. If any of them say thunderstorm, I brace myself for a flare, if any of them say sunny, I’m going to plan on having a good day. @Kelly – Did you see this one: http://healthgrades.mm-health.com/advances-in-rheumatoid-arthritis-treatment/good-marriages-may-help-ra-patients ? YIKES! This stuff is being posted all over the place! Thanks for your website. I have a severe case of rheumatoid arthritis (any health problem is severe to the individual). I was diagnosed with RA when I was 10 years old, around 1990. I had an arthroscopy performed on my right knee – an expensive surgery for my parents. The result was I had RA and there was little treatment available beyond physical therapy. When my RA supposedly vanished about a year later, the hospital working on my case asked if they could take blood samples to see if my body had a natural way of combating this immune system anomaly. 14 years later, I developed a case of RA in my knees that was so severe that I couldn’t walk for 5 months. I since then have had 3 other occasions of being unable to walk for 5 to 6 months, though I was taking Humira and methotrexate. I have always been a healthful eater and was athletic beforehand (and still) – even joined my high school swim team and nearly qualified for the state finals in the 50 yard freestyle event. The point is, if you have RA, don’t let someone make you think you’re not doing enough to deal with this condition. Medical science still can’t explain it, and a Gannet newspaper like USA Today is only providing ONE story, which is nowhere near the COMPLETE story (if any newspaper claims to report on the full story, the newspaper is not being honest, because no reporter can report the full story – not that USA Today was claiming to do so; it’s just one story). Don’t blame yourselves if you have RA; blame misfortune and remember that so many people in the world are going through far worse. I know that’s not easy, but life is unfair. Remember that you are not alone. This kind of erroneous information really pisses me off. If I could do something as simple as make a “lifestyle” change I would. I have avoided all medication except prednisone, and I am paying the price. People need to research the FACTS before disseminating negative information. I have just restarted MTX and a biologic after months of being off for various reasons (illness, tests and surgery). That was just enough time for me to get plenty of unsolicited advice on how following a certain lifestyle or diet would certainly “cure” my ills. These ideas are easily entertained because I so much want to believe that it would be so easy to find a solution! Also, I don’t like some of the side effects that I experience. However, this notion is kind of like blaming a patient for being sick…and, I already follow a vegetarian diet and have for many years. I got sick anyway. Still, I sat with my injections beside me for exactly 43 minutes before finally making my peace with the idea and starting back on my medications. I’m sorry I was offline working with my son all afternoon on math and did not get your comment posted for a few hours. Usually, it’s much quicker. I have been through exactly the same scenerio as what you went through with going back on the mtx. It is a battle to continue for various reasons & you described some of them so well! I completely agree that the logic does end up blaming the victim. I was extremely healthy and active when I got sick & all I ever hear is that I should eat better and exercise as if it’s assumed that’s how I ended up with full-blown RA. nuts. The truth? You are the brave one to take advantage of the best science has to offer for now. After a minor TIA in May, I underwent a massive lifestyle change. I quit smoking, lost 25 pounds by utilizing a heart smart diet, and packed on muscle by exercising on a regular basis. I was on top of the world and feeling better than I have in two years. At my September rheumy visit, I felt better than ever and all tests were great. My sed rate was the best it has been in over 2 years. Then, last week, I started feeling pain in my left hand and wrist. There was definite swelling as well. I felt better by the weekend, and worked out both days, but the fatigue prevented me from a full on workout. Yesterday, while sitting in a meeting, I felt a pull in my right hamstring. It progressed to the point that the pain eventually made it all the way down my leg. The fatigue set in, and I knew I was in trouble. For only the second time in two years, I left work due to a flare up. I am living proof that doing the right thing and making the necessary lifestyle changes doesn’t mean that you can banish the disease. I will continue on this path, because I refuse to give in. I will fight through this frustration and make the best of it.